DUNE metalic Gold Party Wedding Disco Clubbing Peep Toe Shoes Size 5 / 38. Condition is Used. Any questions please ask Thanks for watching Dispatched with Royal Mail 2nd Class. 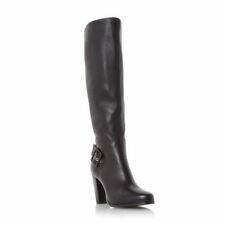 These are a stunning designer evening shoe. leather sole. DUNE Ladies Low Kitten Heel. Colour: Glitter Silver. Size: UK 5/38. Dune London "Decra" shoes, size UK 3 Eur 36 standard width. 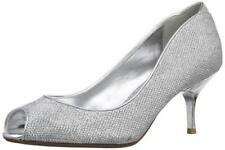 Sparkly silver peep toe court shoes with kitten heels. New without box. Original price would have been around £100. There is a bit of scuffing to the back of the right heel and a few marks on the soles. Beautiful unworn shoes perfect for a Bride, or for a prom or special event. Champagne satin decorated with lots of little crystals. Bought for my wedding but ended up wearing different ones. Cost £90.00 new. 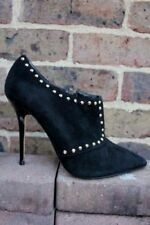 THESE ARE BNIB DUNE BLACK BELLA MID HEEL COURT SHOES. EMBELLISHED FRONT. Material Composition: 100% Synthetic. CURRENTLY AVAILABLE ON AMAZON WEBSITE FOR £79. NEVER WORN IN PERFECT CONDITION. Ladies Shoes Dunne Size 3. Condition is New with box. Dispatched with Royal Mail 2nd Class.